Chemical reactions occur only between the outermost or valence electrons of an atom, rather than its innermost or core electrons. This occurs mainly because those electrons are the most accessible and have the highest energy levels. 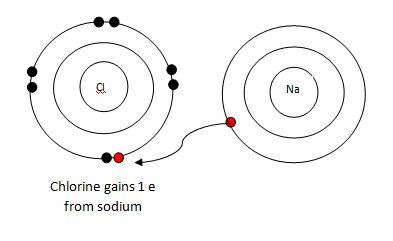 The number of valence electrons in an atom can be determined by either (1) the group number or (2) writing the electron configuration. 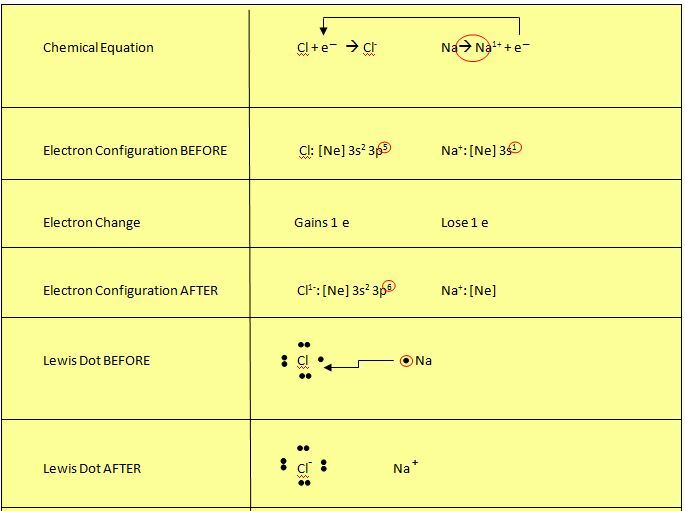 (1) Number for representative elements equals the valence number of electrons (ie: group I elements have 1 valence electron, group V have 5 valence electrons, etc). (2) Otherwise, looking at the electron figuration and the highest quantum numbers will also identify the number of valence electrons. 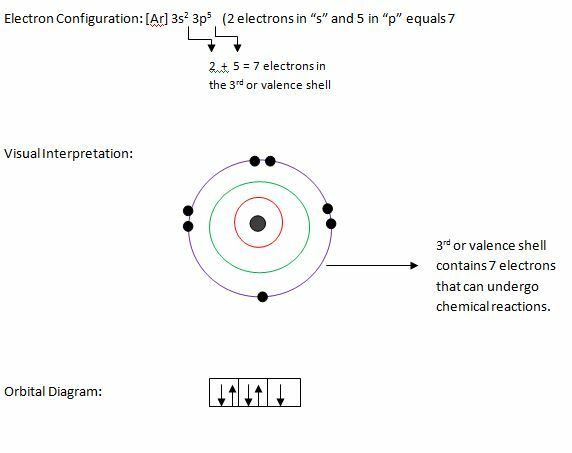 (1) Almost all elements (with the exception of H and He) want to have 8 electrons in their valence shells, called an octet. (2) Noble gases, in group VIII, already possess an octet and are therefore are inert, or nonreactive naturally. (3) The driving force behind chemical reactions is the need to lose and gain enough electrons in order to reach an octet. Metals typically chose to LOSE electrons, gaining a + charge, to reach an octet. 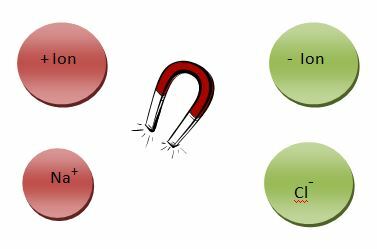 Nonmetals typically chose to GAIN or SHARE electrons, attaining a – charge, to reach an octet. (4) The result of the (+) and (-) charges formed is the attraction they feel towards one another. (5) When one atom loses electrons and one gains them, or if they chose to share electrons to form an octet, a symbiotic relationship is reached and the motivation of each atom is truly known.